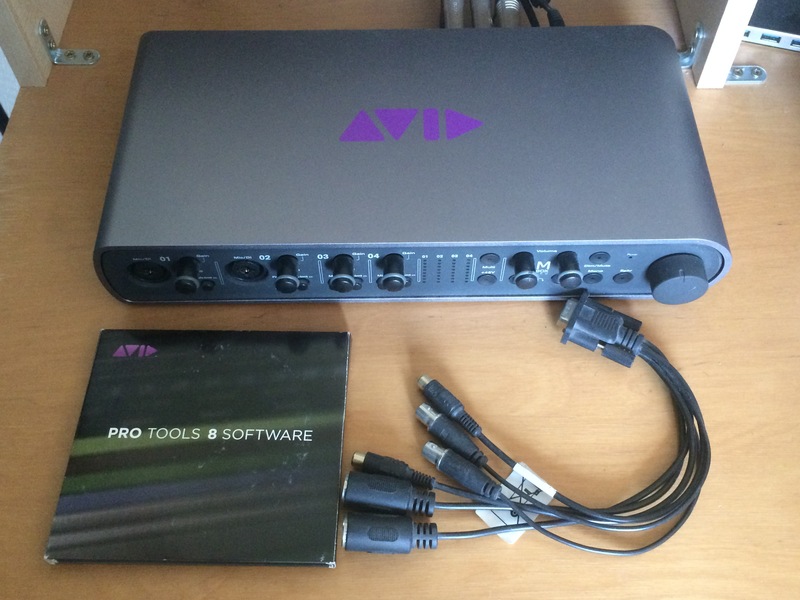 Pro Tools 8, General Sequencer from Digidesign in the Pro Tools series. AlanForPresident's review"took some time to figure it out"
The installation on Pro Tools 8 was not quick, but it was worth the wait. My soul purpose of purchasing DigiDesign’s pro Tools 8 was to mix and master our songs and make them as good as possible from home without having to go out and pay someone else to do it. So the purchase price for Pro Tools 8 seemed high at first until we factored in how much it would really cost to have someone else mix and master or songs and tracks 1 by 1 , and that price was way more than what it was going to cost to purchase pro tools8 by digidesign. So we finally made the purchase and first thought was , this is complicated. At first glance we didn’t think that we could every have the knowledge to be able to do this in Pro Tools 8. It took use a lot of practice and reading through the manual. We did need the manual, and the manual wasn’t very easy to navigate through. There is just too much material in the manual , it was like a big book for us. But we eventually figured everything out after hours on hours and days and weeks. We finally got to the point where we felt comfortable enough to really fully master one of our songs. Pro tools does make it easy to import all of your external files in many different formats. DigiDesigns’s pro tools 8 became like second nature to use after a while and we started to use it more and more and now we are too the point where we do almost everything in pro tools. Pro tools is just one of those things that will just take time to understand, no matter who good your ear is you will have to understand how pro tools works. With a lot of practice any one can understand it. BadApple's review"Good But complicated at start"
I was not involved in the installation of the program but from what I heard it was very quick and easy to do. 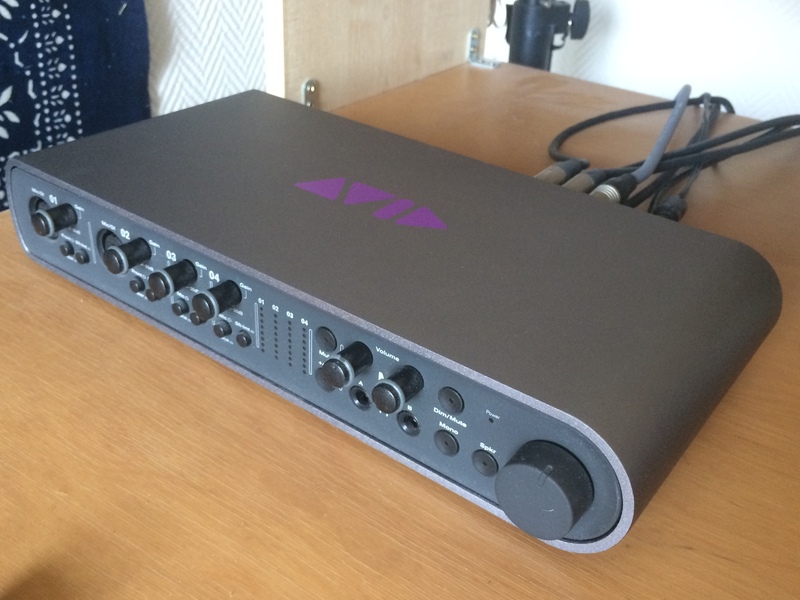 I have read through the manual a few times and got my head around many of the provided features that come with this program, pro tools is a very good DAW and one of my favourites for mixing and mastering. Everything works in the program as it should do with a few little bugs that will get fixed on updates to it in the future. Our system is a mac pro dedicated to the recording, mixing and mastering of our projects. As you may imagine it runs extremely smoothly on our system but I also think it would work fine on a pretty high grade computer. Like most digital audio workstations they take up a lot of processing power so running them on a mediocre laptop or computer has the potential to make your work a little aggravating. I have been using pro tools for around 1 year now and it is still one of the best programs to mix and master on to. Our performance with this set up is one of the best, nothing lags or glitches due to low cpu or anything like that, we can safely mix a great number of tracks with no problems what so ever. The main thing that stands out to me with the pro tools is that the audio quality is great. A lot of DAWs vary slightly in audio quality but this one is definitely not one of the rubbish ones for sure. I like how easy it is to use, but you will have to read up on how to do everything first off. Do not expect to just turn it on and be able to mix and master straight away, you will have to learn and read up on all the different features that it has. It is pretty expensive in my opinion but a necessity in a studio environment unless you use another DAW of course. I have worked with a number of different DAWs over a few years and I have to admit this is my favourite for mixing and mastering but I do not like to produce with this at all. I would choose pro tools every time when setting up a new studio as it is very user friendly once you get a hang of it. Digidesign Pro Tools 8 was a quick install after downloading the upgrade up from Pro Tools 7.4 from Digidesign's website. It only took a short while and had it up and running rather quickly. I haven't had any compatibility issues at all and can't think of any problems whatsoever that I've had with Pro Tools 8 in the short time that I've had it. The interface of the software is quite different than the previous versions of Pro Tools, but users of previous versions will be able to adapt quickly because even though there are a lot of new features, the old functions and features are still there and are the same. The interface looks more like Logic than it ever has before, probably because of all of the new MIDI features and Digidesign's desire to cater to that audience a little bit more. The manual is pretty complex and while I haven't used it much, it definitely seems like there is a lot there and that there is a lot explanations available. 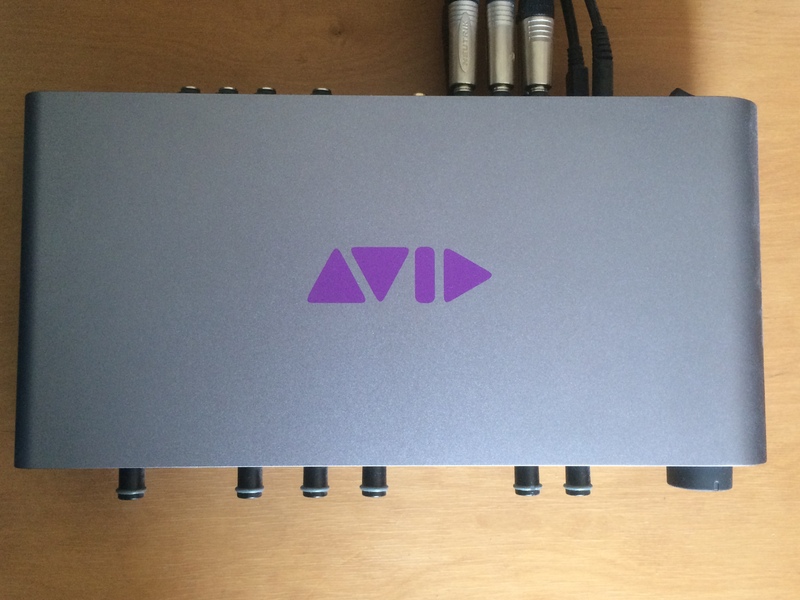 So far I haven't had any problems at all running Digidesign Pro Tools 8 as it has run smoothly and stably. It seems to run a little bit better than Pro Tools 7.4, even if the difference is subtle. I am currently running the software on a Pro Tools LE system using a Digi 002R audio interface and a Mac Book Pro that has a 2.2 Ghz Intel Core 2 Duo processor and 4 GB of RAM. I have also used Digidesign Pro Tools 8 on a Pro Tools HD system, on which it runs much better than in LE, which is to be expected always no matter what version of Pro Tools you are running. I've only been running Pro Tools 8 for about a month as this is quite new software. While it took a little bit of getting used to, I must say that I now really enjoy using Digidesign Pro Tools 8. It was a little bit weird at first simply because the interface is so different than the previous version and I was skeptical of making the switch at first, but I'm glad that I did because Pro Tools 8 has the same great user friendly features that they are famous for, with a whole bunch of new added features including extended MIDI capabilities and music notation features. The plug-ins that it comes with are also upgraded and they now include SansAmp which is a really cool plug-in that previously did not come with Pro Tools. The price of the upgrade from earlier versions of Pro Tools is pretty reasonable and since that is what I did I'm not sure about the price of it new. 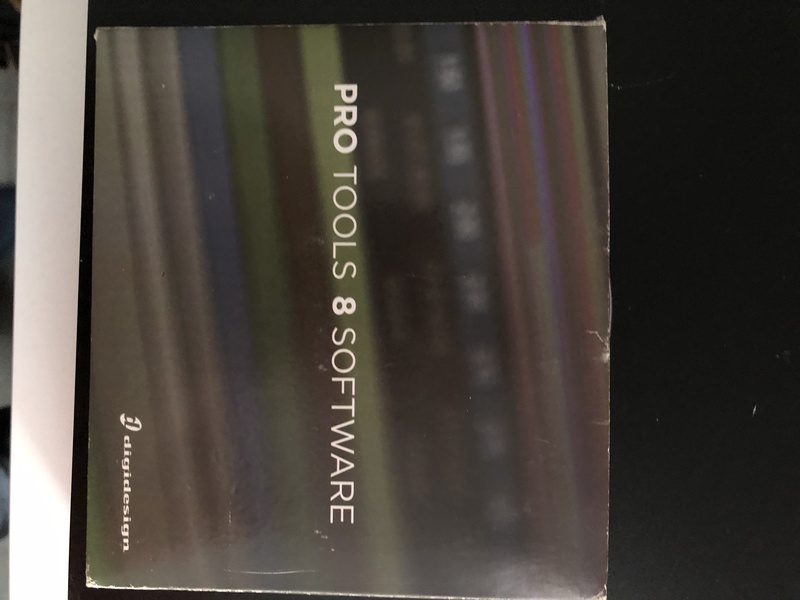 I would highly recommend checking out Digidesign Pro Tools 8 for all Pro Tools users as they have taken it to the next level! Great application and glad to see surround. ADC please. Its nice to see DIGI catching up to what most sequencers/DAWs have had for quite some time. Am hoping that a real HIGH end, affordable/compact stereo device is added soon so we can track with record quality anywhere in the world and have all the plug ins work fluidly with HD, yet recorded on any laptops. Quad cores will be coming soon, therefore, we would love to see LE have unlimited tracks, ADC and ultra high end and super compact make its way into the mainstream. Digidesign has updated Pro Tools to v8.0.3, featuring official Snow Leopard support, Windows 7 public beta, plus over 100 of the most requested software improvements and fixes. 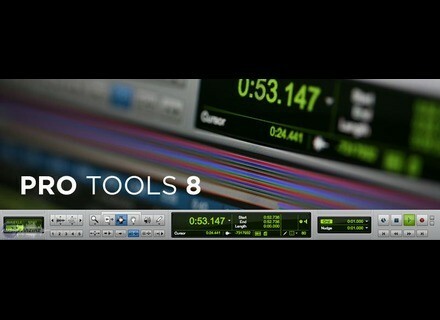 [News] Digidesign Pro Tools 8 coming soon.